Funny Birthday Cakes for adults—being popular in the West for years—are now taking a toll off Indian bakery as crowd across all the age groups (above 18) look to spice up their pre-wedding parties and private birthdays with risque and kooky themes. 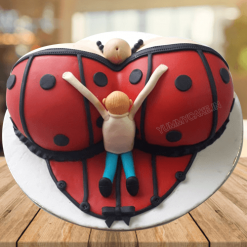 YummyCake offers the services of providing adult cakes funny birthday cakes for adults in the region of Delhi, Noida, Gurgaon, and Faridabad. Midnight cake delivery is also available as awareness of these cakes has reached out to many youngsters. Terms and Conditions remaining are the same for all orders. Call us on 9718108300 for quick orders of Funny birthday cakes for adults. Hahaha, what a funny cake.